Through a new pilot outreach and access program, the DLSPH is providing an educational pathway and necessary supports to inspire high school students from underrepresented communities to learn about public health and health systems as career options, achieve their potential, improve their communities, and play a leadership role in creating a healthier society, in Toronto and around the world. The program aims to raise awareness of non-traditional career paths in Ontario’s health system while stimulating a diverse community of future academic and community leaders who will make a positive impact on the health of Canadians. Last week, the DLSPH hosted three information sessions for 140 high school students at Marc Garneau Collegiate Institute in Toronto’s Thorncliffe Park neighbourhood. Students in grades 10 through 12 from a variety of disciplines participated in an interactive discussion with IHPME alumnus Ryan Hinds, Assistant Professor Emily Seto and Lecturer Charlotte Lombardo. Students were asked what it was like to fit into a new community after immigrating to Canada and explored how health care professionals hold a variety of jobs outside of the traditional nurse and doctor roles, such as health promotion and health informatics. 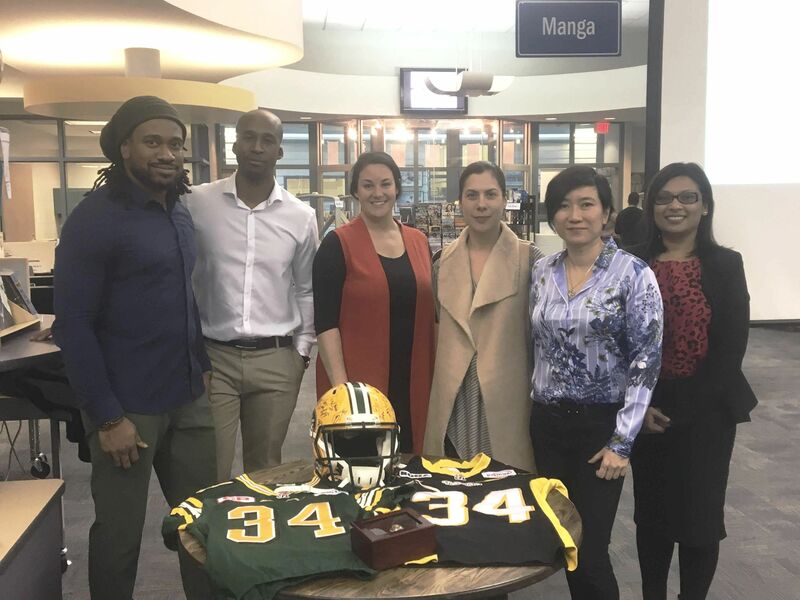 The program is co-led by Annette Paul, Director of Advancement, and IHPME alumnus Ryan Hinds, along with Dean Adalsteinn Brown in partnership with Ahead of the Game Youth Mentoring Program and The Neighbourhood Organization in Thorncliffe Park. DLSPH faculty will play pivotal roles in shaping the program as it moves forward. Program components will include mentorship, summer school, networking and internships, as well as other supports to ensure participation and success. To create a pathway to diverse youth, students at Marc Garneau Collegiate Institute are the first group for the pilot. With the support of students and the community, the DLSPH aims to expand the program to more schools in the future.